I haven’t done a lot of sewing in the past few weeks because I started work again and have had some long hours. 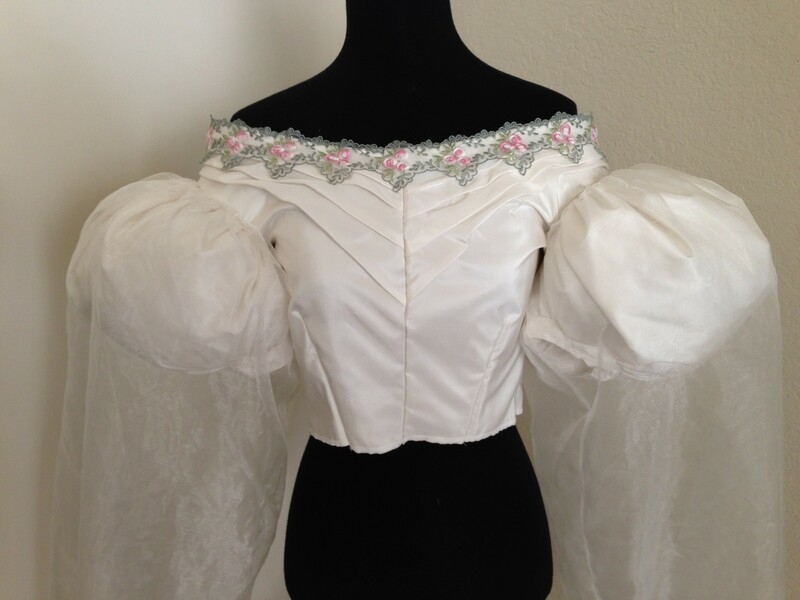 However, here is a sneak peek at the bodice in progress. I put on the puff sleeves and started the sheer ones. The neckline has lace. I still need to fuss with the fitting (since the heavy sleeves are pulling things down), the gathers and the cuffs on the sheer sleeves. The front will be embellished with some little pink flowers. Posted in 1830s Romantic and tagged 1830s, costume, Romantic era, sewing. Bookmark the permalink.